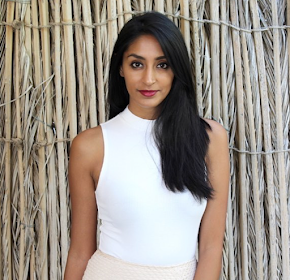 My picks from Day 3! 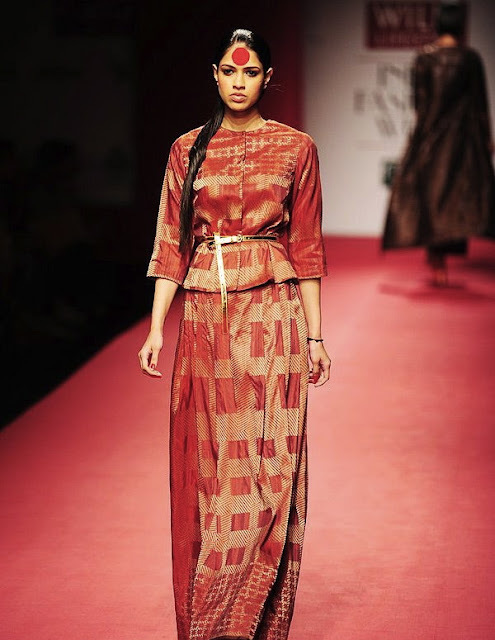 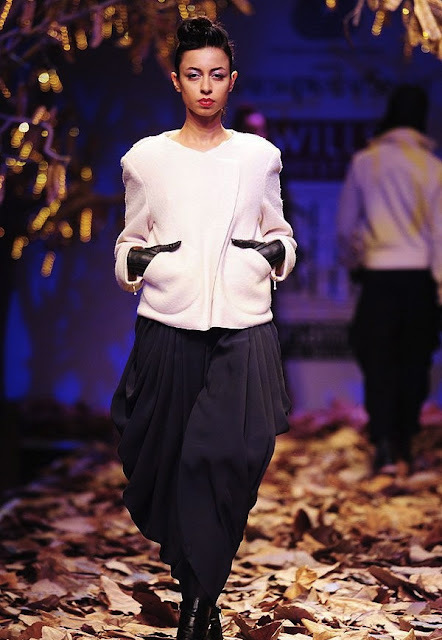 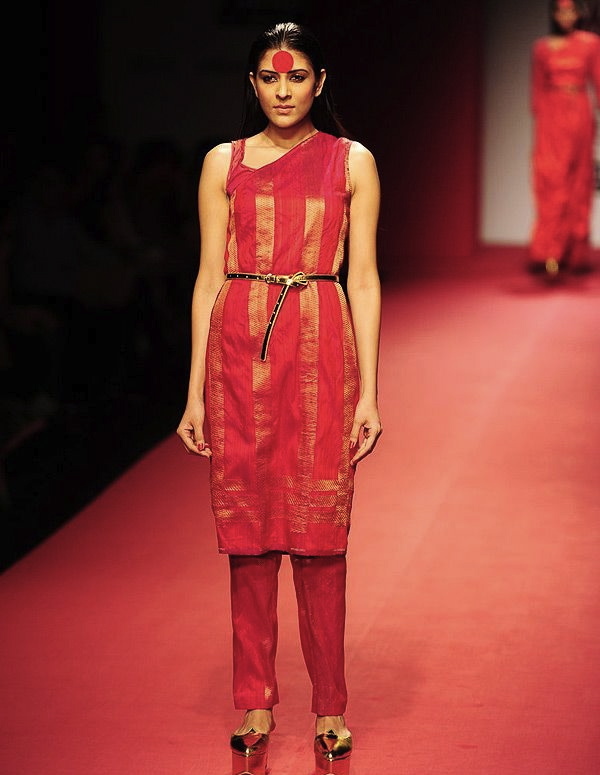 Abraham & Thakore - I'm loving the simplicity of these pieces. 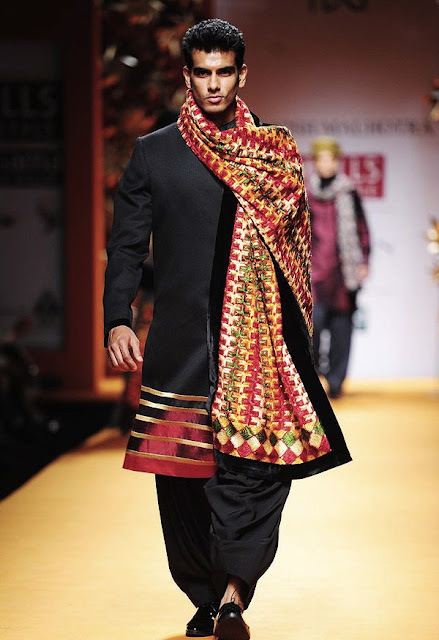 The silk that is used and the cut of the fabric is stunning. 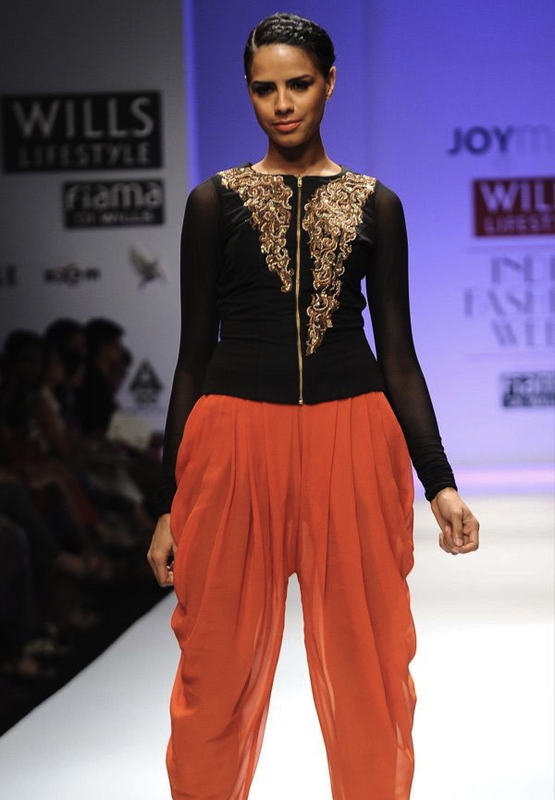 Simple enough to be worn to the temple, and elegant enough to wear at a party! 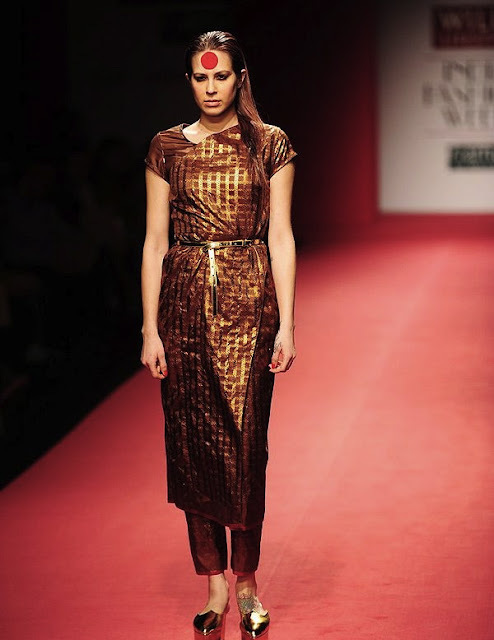 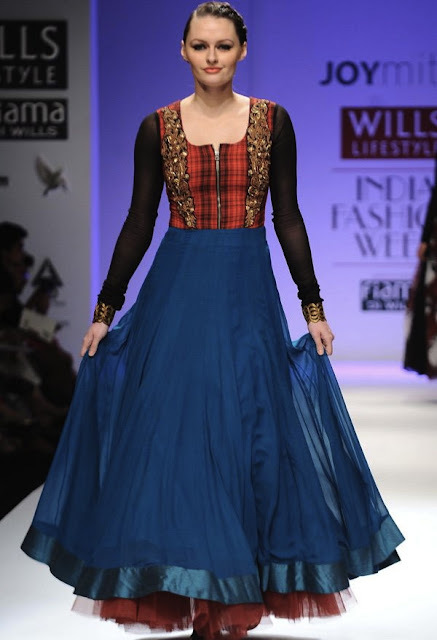 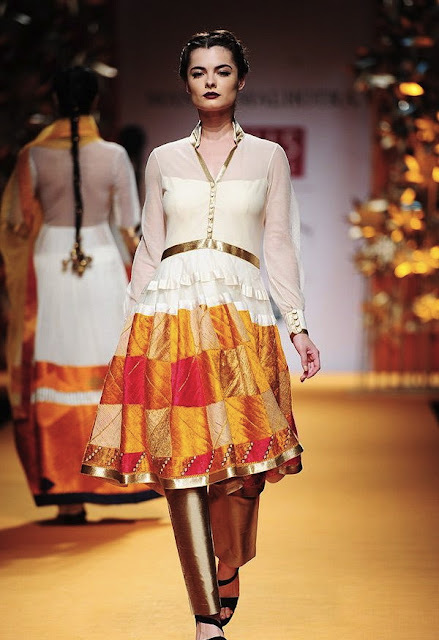 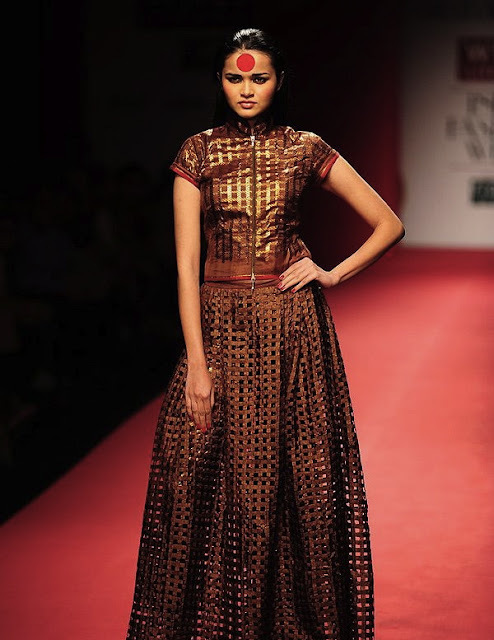 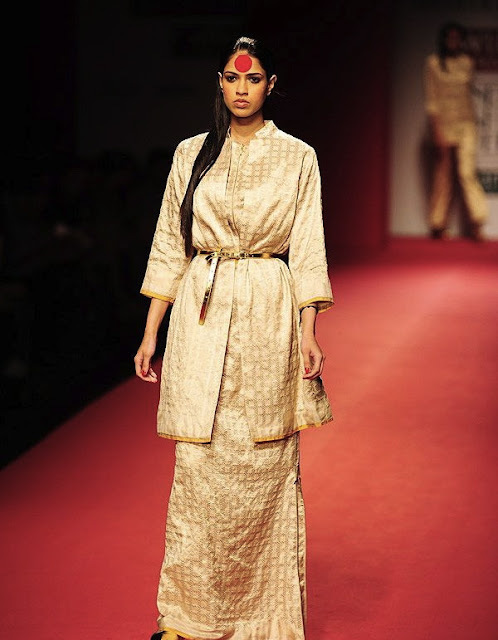 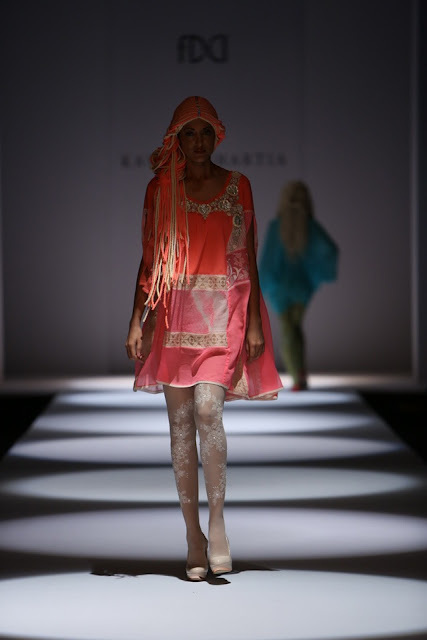 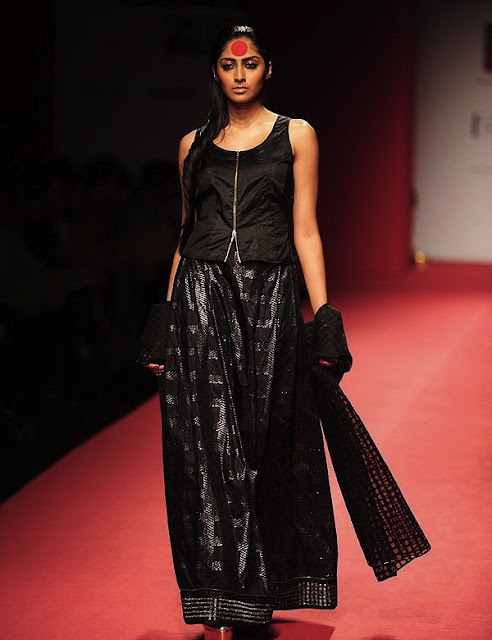 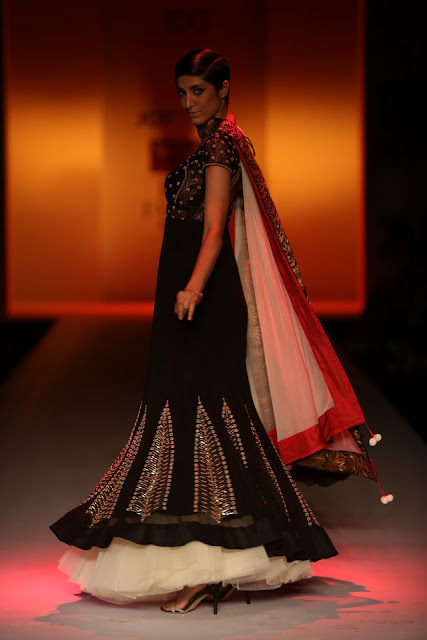 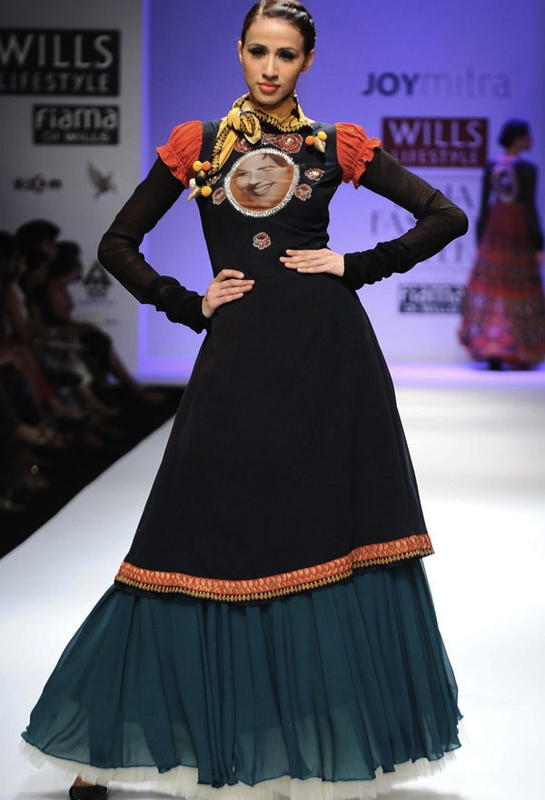 Ekta Jaipuria and Ruchira Kandhari - Love the designing in this collection. 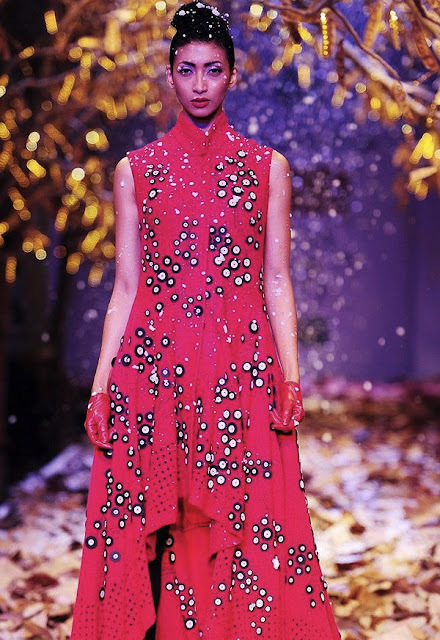 Though this collection doesn't seem very different from what we've seen over the past few years, the colours and fabrics are beautiful. 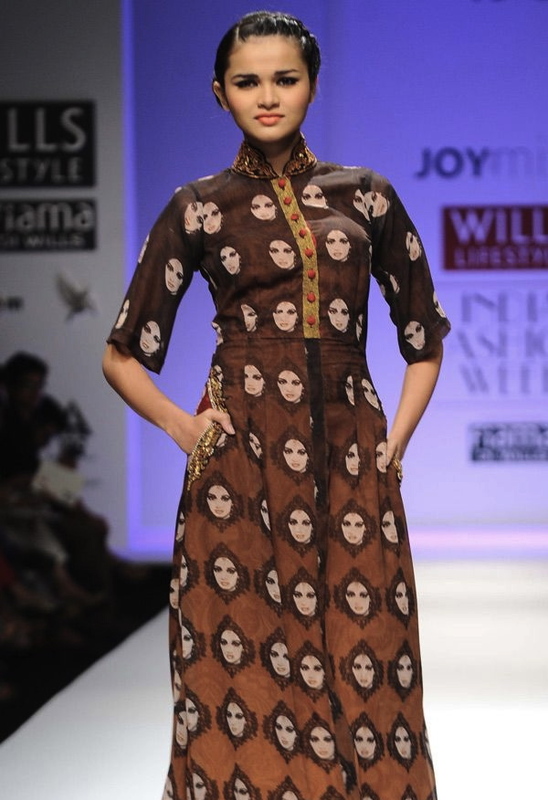 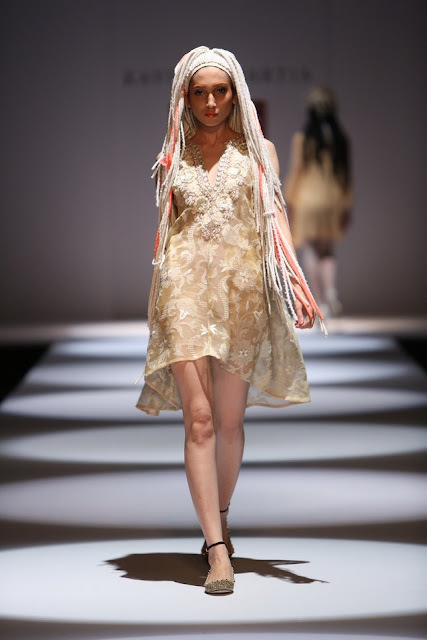 Joy Mitra - Beautiful collection with a few quirky pieces. 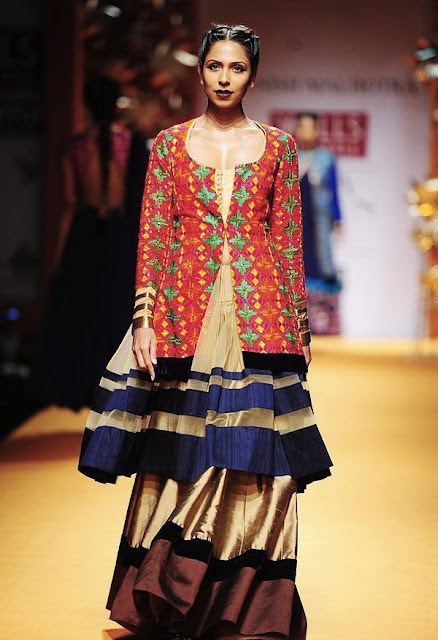 Loving the solid colours with a bit of work, fun and effortlessly chic. 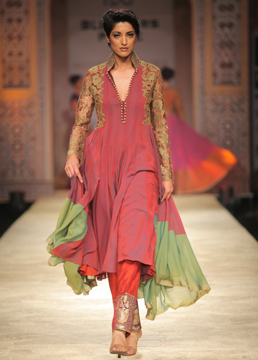 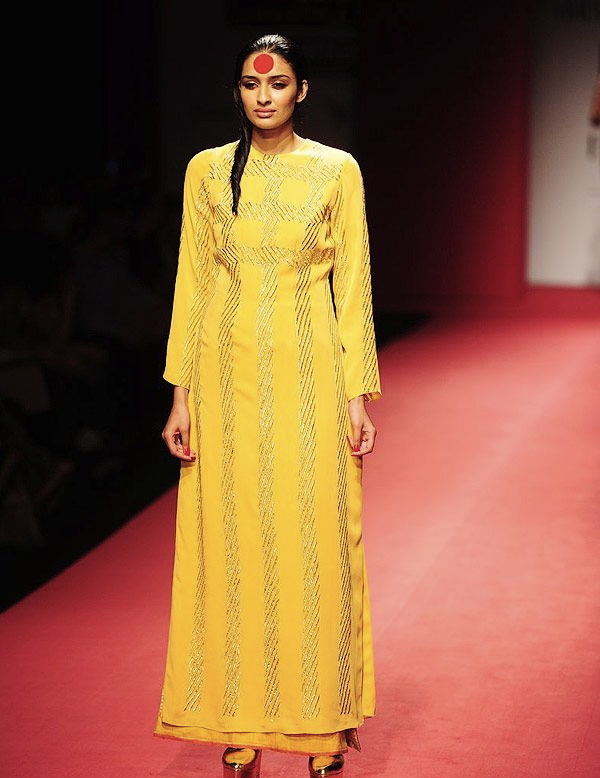 Kavita Bhartia - Love these sweet, simple and flowy pieces. Perfect for a getaway to somewhere hot! 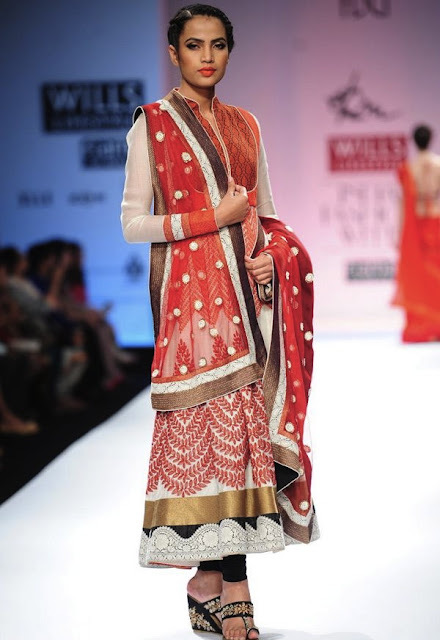 Manish Malhotra - Beautiful collection as usual by the Bollywood design master. 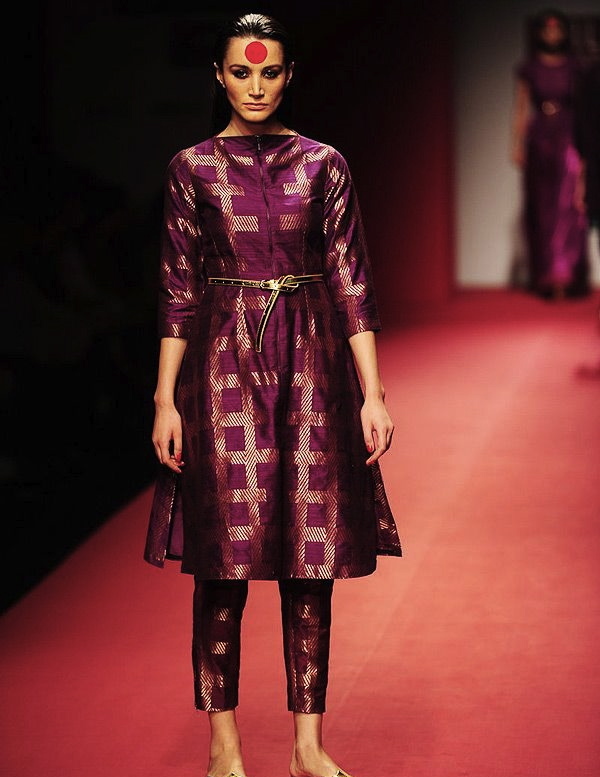 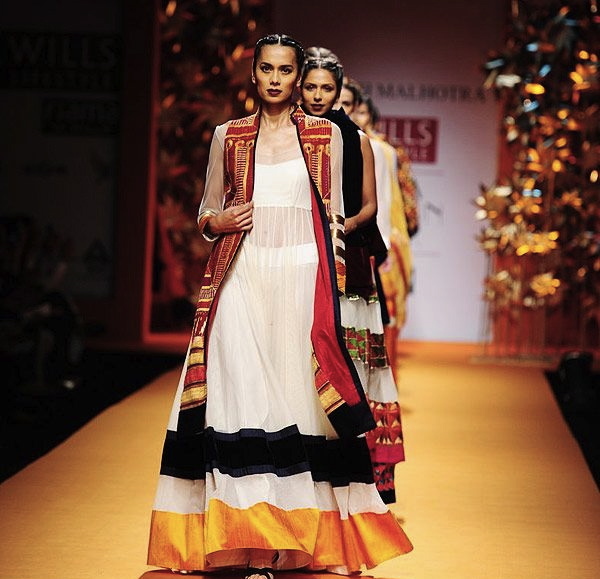 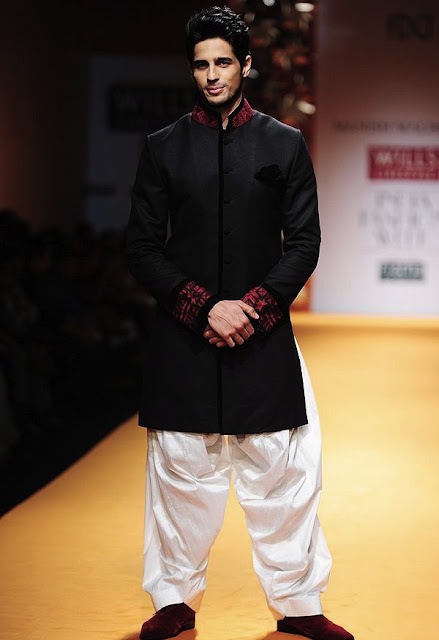 There is a strong Punjabi influence in his pieces for this collection through the phulkari work...love! 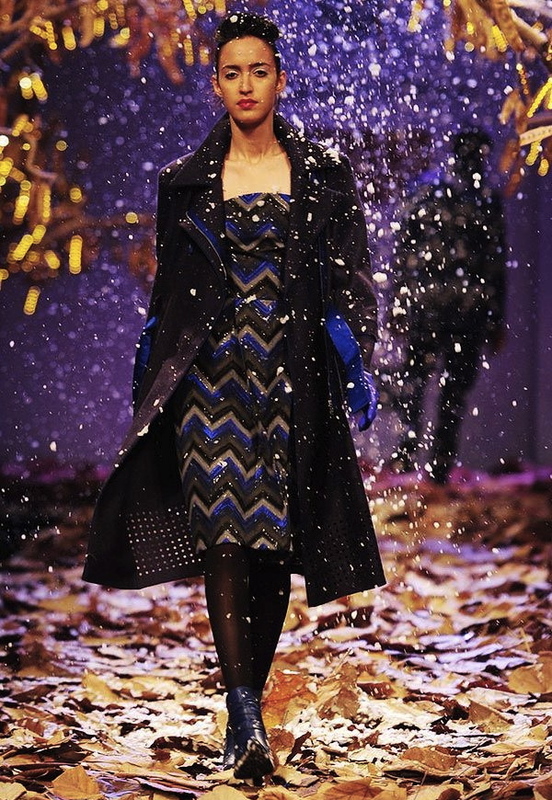 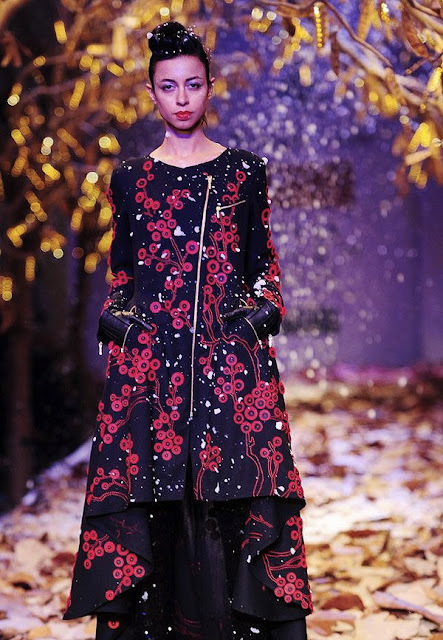 Rajesh Pratap Singh - Rajesh Pratap Singh presented a collection sponsored by The Woolmark Company, and I want every single piece.